IBM MobileFirst for iOS Sales Consult brings customer preferences and product information to the sales floor. 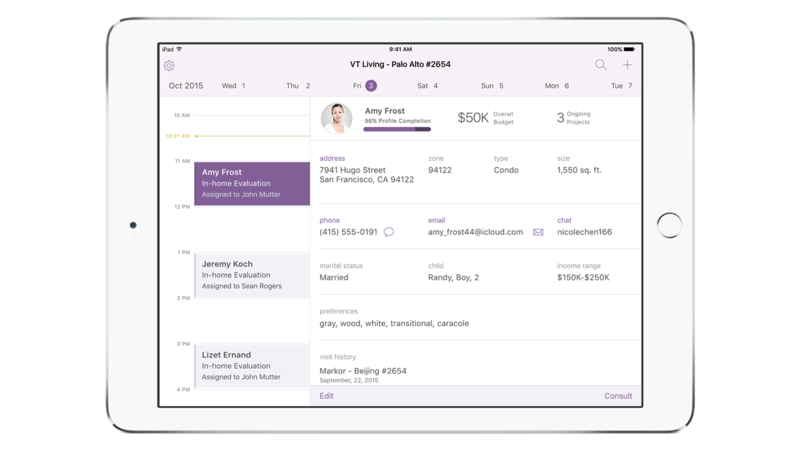 The app allows consultants to build relationships through a personalized customer experience. Any consultant can become a personal shopper for any customer who walks in the store. Key details about the customer’s needs, budget and preferences are based on saved preferences and liked items. Buyer ratings and feedback about a product can be shared with the customer allowing them to make an informed decision and reduce instances of buyer’s remorse. The app can add products to a customer’s cart and complete the transaction. Demonstrate color, design and products based on customer preferences. View existing inventory and extended product lines from the sales floor. Give customers suggestions based on previous purchases, offer accessories or recommend substitutions based on store inventory. Share buyer ratings and save any items the customer likes. Use the camera and scanner for immediate access to product details by scanning the bar code. Access products in quick proximity to your location in the store based on customer history and preferences.